With summer coming to an end and September approaching, new expats are moving to the Czech Republic in order to work or study abroad. 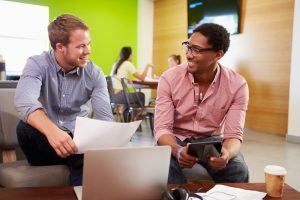 Although most of you will probably attend English seminars and experience a multi-linguistic environment at the employment venue, knowing Czech will give you a great advantage at getting to know people and comprehend the local culture! You may want to start by yourself at learning the basics but we can guarantee that the further you’ll go the more difficult the process will get! Czech has 7 grammatical cases, plenty of idiomatic expressions and numerous rules to be memorized; it’s certainly not the easiest European language you could master. Thus, let us give you some support thanks to the expertise we’ve developed in this field! Regardless your current level, we offer a series of services related to the Czech language which you may require in different circumstances. We’ll analyze each of them later on. The very first thing you must get is a practical phrasebook! 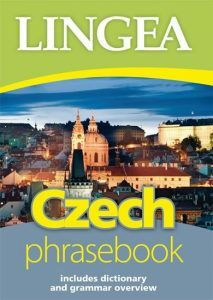 The pocket-size Lingea Czech Phrasebook available at our offices brings you: understandable and useful phrases, vocabulary for everyday conversations, travel advice, emergency information, unique easy-to-read pronunciation guides tailored to the tongue of foreign-language speakers, and many more advantages! When you’ve become accustomed to the basics, the time to go deeper inside the language shades will come soon. Foreigners.cz – in cooperation with partner language schools – offers a series of Czech language classes for foreigners speaking at various levels. With us, beginners and advanced users have the chance to attend regular or intensive seminars in small groups or individually, fitting everybody’s needs! And what if you need the translation of your documents into Czech? Foreigners.cz provides certified (official, sworn) and standard translation for any type of certificate, as well as additional services related to documents preparation for translation (notarial verification) and follow-up shipping of translated documents! Contact us with your request or bring the originals to our office straight away. Whether you’re interested in how the translation of official documents work, you shouldn’t miss our former article concerning this procedure. 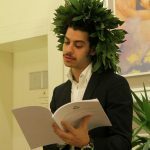 Furthermore, by relocating from a non-EU country, you might be concerned that you won’t understand a single word at your Immigration Office appointment; your worries are valid indeed. Book with us a Czech personal assistant who will accompany you to the appointment and help you understand and be understood. This can save you a lot of troubles! The assistant will help with communication and navigation on the spot, making all processes smoother. Last but not least, if you need to attend an official appointment or event, there’s something you should keep in mind: some authorities require the presence of a court interpreter under determinate circumstances. Among these can be found: interrogation for immigration purposes, validation of exams attended abroad, final exams at driving schools, wedding ceremonies, and so forth. Ask us to recommend you a reliable and experienced interpreter! In all cases and circumstances where you’ll find yourself since the beginning of your stay in the Czech Republic, don’t forget that: being misunderstood is fine, experiencing incomprehension is normal, asking for help is not a shame. That’s indeed where we come in! Get in touch with us for any language-related issue, and get ready for a new, great experience in our enchanting country!